A new trade agreement between the UK and US could result in a number of regulation changes on both sides of the Atlantic. One potential reform, however, has caught people’s attention in particular - the sale of “chlorine chicken." Although a number of issues would have to be ironed out in such a deal, it seems social media users in the UK have been rattled by the suggestion that an agreement with the US could result in British consumers being sold chicken cleaned with chlorine. The process is perfectly legal in America but currently prohibited by EU authorities, something which could change when the UK leaves the European Union. Mmmm, American chlorinated chicken heading to UK under 'trade deal.' How old is it? When was it last alive? Who knows? Chlorine make good. In the US, chemicals are frequently used to reduce bacterial contamination along the food processing chain, while poultry farms in the UK have to adhere to a number of hygiene regulations set out by the EU. Many directives are imposed at farm level in a bid to reduce or eliminate bacteria, although there are also a number of checks in place along the processing chain. Interesting US is flagging up meat and chicken products as trade priorities. Not sure growth hormones and chlorine are my fave ingredients. What is this chicken dipped in chlorine we've been deprived of? Coq au piscine? I've always liked the smell of pool on skin. Hang on, do I need an opinion on chlorinated chicken now? 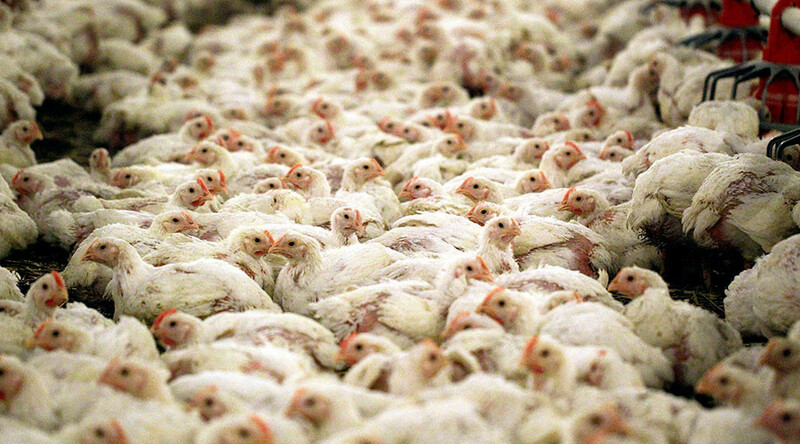 @SarahLudford A lot of American chicken meat is soaked in chlorine as well as injected with antibiotics while alive. No thank you. This isn’t the first time for the issue of chlorine washed chicken to be raised, as it has consistently been noted as a concern by those opposed to the Transatlantic Trade and Investment Partnership (TTIP) agreement between the EU and US. @JolyonMaugham we need red lines. No changes to our regulations for goods. E.g. No GMO corn, chlorine chicken or over-powered hoovers. What do you think, would you eat chlorine chicken? Let us know in the poll below.